The oils you use for everyday cooking are extracted from seeds, fruits, vegetables and nuts. From olive oil to sesame oil, the way that oil is extracted has a direct effect on how the oil tastes in your food and the amount of nutrients it has to offer. Using heat to extract the oil produces more of it, but heat can degrade the oil's flavor and nutritional quality. Using low-heat methods produced higher quality oil, albeit in lesser quantities. Extracting oil through cold-pressing involves crushing the seed or nut and forcing out the oil. Presses come in a range of sizes, from small sizes for home use to huge commercial presses. The seeds are dropped inside a cylinder that contains a rotating screw. This screw grinds and crushes the seeds until the oil is extracted. Small holes in the bottom of the cylinder allow the oil to escape into a collection container. Although some heat is generated through friction as the screw breaks down the seeds, it's usually not enough heat to damage the oil. Some presses use heat to advance the oil extraction process. Electric heaters can be attached to the press cylinder; as the seeds inside the cylinder heat up, they become softer and break down more easily. Although this method tends to generate higher quantities of oil, the heat can reduce the flavor, aroma and nutritional content of the oil. You may ingest some types of oils specifically for their health benefits, including evening primrose oil, believed to contain powerful free-radical-fighting antioxidants. However, a 2004 study conducted at London's Imperial College School of Medicine discovered that the beneficial antioxidants were only found in trace amounts in most commercially offered formulas. When scientists tested a commercially available cold-pressed formula, they found greater quantities of antioxidants, leading them to pronounce the cold-pressed evening primrose oil superior in terms of potential health benefits. Cooking is the primary use for cold-pressed oil. Olive, sesame, sunflower, canola and coconut oil can all be extracted using cold-pressed methods and used for flavor in marinades, salad dressings and baked goods. Makers of aromatherapy and cosmetic products use oils from almonds, jojoba, rosehip seeds and more. 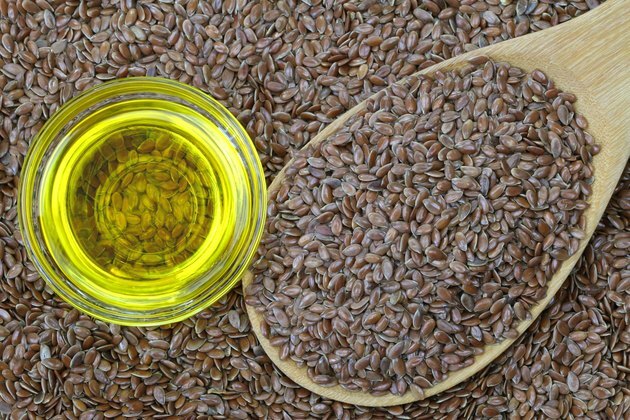 Flaxseed oil and evening primrose oil are readily available online as dietary supplements. The EPA approved cold-pressed neem oil, derived from the seeds of the tropical neem tree, for use as a biopesticide in 2009. Incredibly, cold-pressed neem oil repels insects without harming plants, animals, fish, birds, people or the environment. Although cold-pressed cooking oil offers a richer flavor, it can be tricky to cook with. These oils don't react well to heat—that's why they were extracted with low-heat techniques in the first place. If the oil contains mostly unsaturated fat, like sesame oil, it's likely to degrade when heated. These unsaturated oils simply break down when used to sauté or stir-fry other ingredients; they work better if you drizzle them over the finished product. If the oil contains a high level of saturated fat, like olive oil, it can handle the higher temperatures of grilling and sauteeing. The European Food Information Council: Can I Use Cold-Pressed Oil for Frying?